"We was underwater before Katrina. They rebuilding all this - what about us?" Well Go USA has dropped the first teaser trailer online for the new film made by rapper RZA, titled Cut Throat City. This just premiered at Comic-Con during a special presentation, now it's available for the rest of us to see. 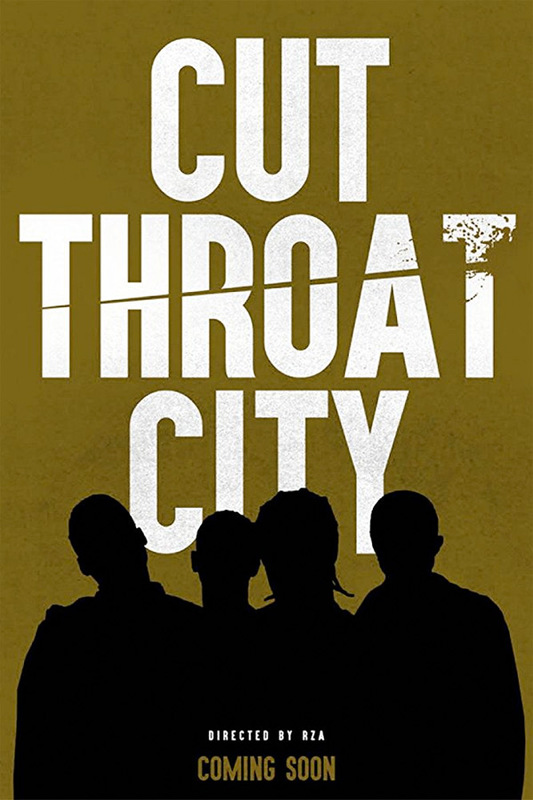 Cut Throat City is a heist movie set during/after Hurricane Katrina in the lower ninth ward in New Orleans, about four boyhood friends who figure out how to land on their feet again after the first job goes bad. The outstanding cast features Shameik Moore, Demetrius Shipp Jr., Denzel Whitaker, Keean Johnson, Wesley Snipes, Terrence Howard, T.I., Eiza Gonzalez, Isaiah Washington, & Kat Graham. This is a very compelling first tease, setting up the stakes and introducing the four boys. I'm looking forward to see more. Cut Throat City is the story of four boyhood friends in New Orleans' Lower Ninth Ward who return after Hurricane Katrina to find their homes decimated, no jobs, and no help from FEMA. Reluctantly turning to a local gangster for work, the friends are hired to pull off a daring heist in the heart of the city. But the job goes bad and they find themselves on the run, hunted by two idealistic detectives and a neighborhood warlord who thinks the friends stole the heist money. With their only way out to buy their way back, the friends decide to get what they need by turning the tables on the casinos that have taken from their city for years … by doing a little taking of their own. Cut Throat City is directed by American rapper-filmmaker-actor RZA, who directed the films The Man with the Iron Fists and Love Beats Rhymes previously. The screenplay is written by Paul Cuschieri. Well Go USA will release RZA's Cut Throat City sometime in 2019, but no exact date has been set yet. Stay tuned for updates - follow @RZA. First impression? Who's down?